Yesterday I came this close to seeing U.S. President Donald Trump, here in Paris for Bastille Day, and French President Emmanuel Macron. It wasn’t intentional. I was having my own presidential moment in a café in central Paris near Galeries Lafayette. 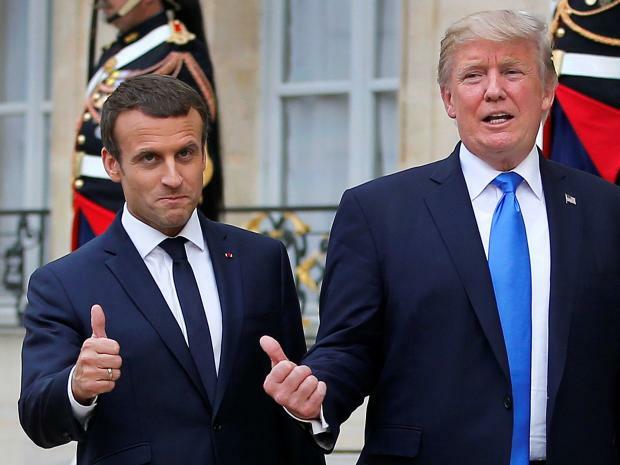 You see, I was just elected president of my Toastmasters club, Paris Speech Masters, and I was meeting the past president for a formal transition of power. This amounted to handing over the club banner, and chatting about life as president over a drink and dinner. Seriously, I’m proud to preside over the club, which boasts two International Speech Contest finalists. I definitely want to keep the bar high! On my way to the meeting, I noticed a huge national police presence near the Eiffel Tower, but all was relaxed for the moment. The officers, in their vans, were being served hot dinner trays, airplane style. Baguettes graced the dashboards. They folded down their seat-back tray tables, spread napkins on their laps, and ate with cutlery. The only thing I didn’t see was the wine. On the way back from my meeting, banner in hand, the police had long finished dinner. They were mobilized around the Eiffel Tower, their vans blocking all but two lanes of traffic to slow and check vehicles. It was an impressive show of force. The reason? Up high in the Eiffel Tower, the two presidents and their wives were having dinner in the Jules Verne restaurant, one of France’s finest. 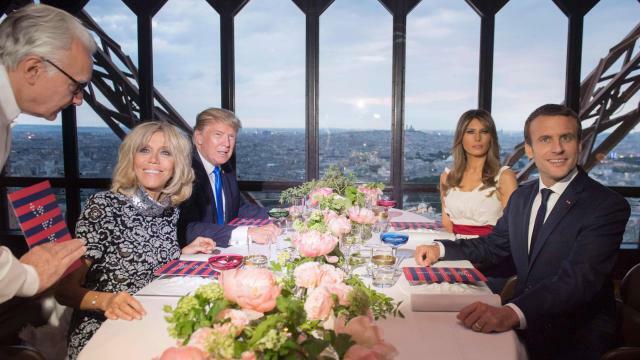 I imagine that Trump and Macron, over drinks and dinner, were trading notes about their first months in office and life as president. Photo above: Source: The Independent. The reporting on the Bastille Day parade reminded me that on my very first visit to Paris I was fortunate to attend the 200th Bastille Day celebrations!